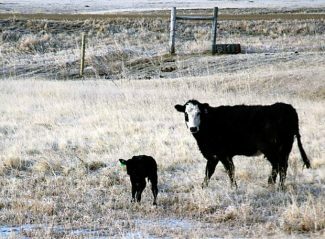 The 2014 Nebraska Ranch Practicum gives ranchers access to cutting-edge research in range livestock production from the University of Nebraska-Lincoln. Natural resources, livestock management and economic reality are integrated throughout the Practicum. During the three-season UNL Extension class, participants have the opportunity to expand their knowledge with an overview of ranching practices from new angles. Throughout the program, participants will cover a variety of topics, including the effective use of decision-support tools to evaluate management and marketing alternatives, plant identification, range conditions and grazing strategies, wildlife management, evaluation of cow body condition scores, and beef cattle production systems. Classroom activities will open and close the Practicum in North Platte, Neb. with the remainder of the classes conducted at UNL's Gudmundsen Sandhills Laboratory, a working ranch with education and research facilities, near Whitman, Neb. The 12,800 acre ranch provides hands-on experience to ranchers. Practicum dates are June 11 and 12, July 10, Sept. 3 and 4, and Nov. 6, 2014, and Jan. 7 and 8, 2015 for the eight-session class. Scheduling of the sessions from June to January is designed to cover the production cycle of both livestock and forage resources. The 2014 Nebraska Ranch Practicum can count for college or continuing education credit. Participants looking to earn credits should make arrangements during the initial session. Applications are due May 2, with a $250 deposit. The registration fee for this eight-session Practicum is $650 if your application is submitted prior to April 18. The registration fee is $700 if your application is submitted between April 18 and May 2. Fees for a spouse are $350. All educational materials, noon meals and breaks are included. Participants are responsible for travel and lodging expenses. Enrollment is limited to 35, and applicants will be notified of their status no later than May 23. Deposits will be refunded if space is not available. Participants must pay the balance of the registration fee by June 11. For applications or additional information, contact Brent Plugge at 308-236-1235, e-mail brent.plugge@unl.edu or visit the Practicum website at http://nebraskaranchpracticum.unl.edu/.